Dandelions are a classic sign that spring has sprung, and every kid loves blowing dandelion bits into the air and making a wish. But did you know that dandelions are also primitive barometers used to tell the weather? The dandelion opens fully in sunny weather and closes when it rains. Sometimes the seedheads also fly off on their own without any wind, which is said to be a clue that it’s about to start raining. 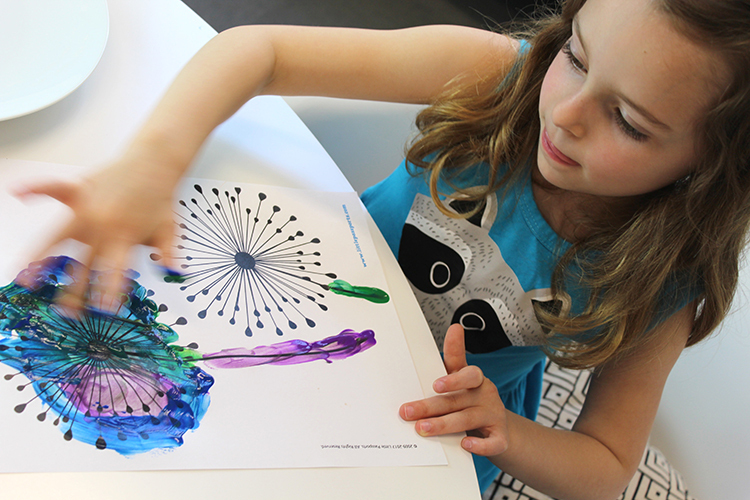 In case you can’t get outside to pick dandelions of your own, print out this fun dandelion painting activity and celebrate spring with an art project! 1. Click here to print the template. 2. Assemble your supplies in your crafting area. Gather your template, paints, and your cleanup materials. 3. 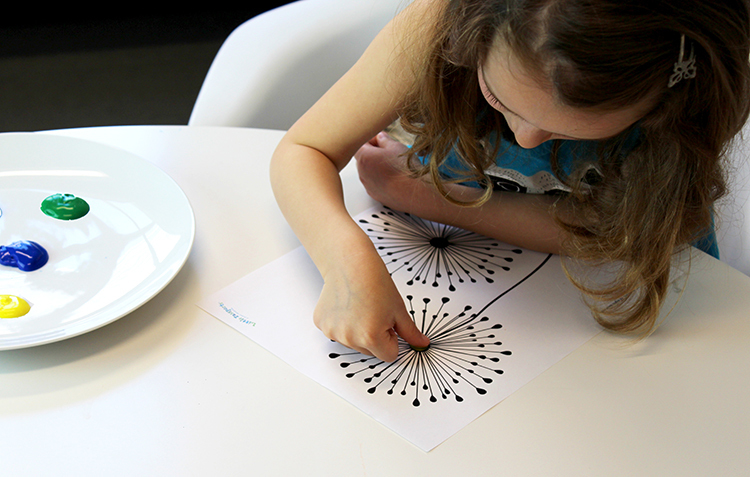 Using a thumb or fingertip, gently dip a finger into paint and press it onto each dandelion seedhead. 4. 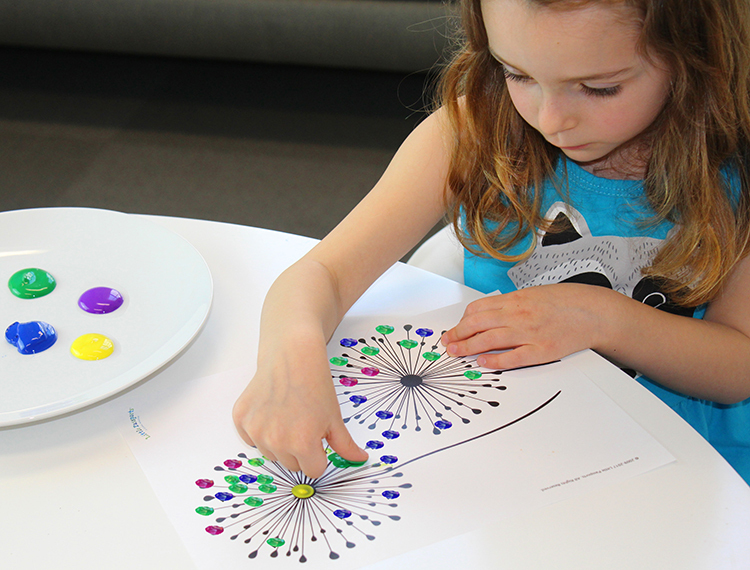 Use your imagination to create the rainbow dandelion of your dreams!